I'm sure most of you have noticed that I am a big fan of Jayes Studio. I didn't know about them until they had a sale on One Kings Lane a while ago but I'm glad I know about them now. I picked up one of their lovely cachepots (the yellow scallop design one) during the OKL sale and will be putting it in the nursery as a mini catch-all of sorts. Now I've got a reason to get something else from them because they've got this big sale going on until March 31st where they're giving you 20% off your entire order! 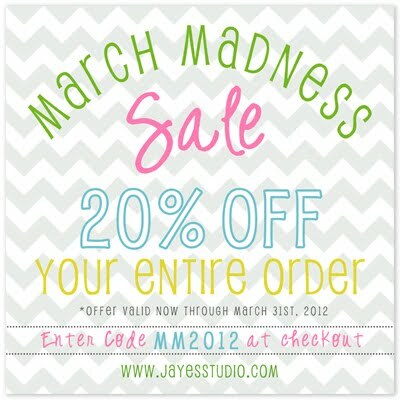 Use the code MM2012 at checkout to apply the discount. Hurry on up to grab your favorite goodies! And as if this sale wasn't good news enough, on April 5th (my 30th birthday, eek!) I will be hosting a Jayes Studio Giveaway so make sure to check out Proper Hunt that day so you can find out how to win the giveaway item.